Sauna has been around since the Stone Age. Old as it is, yet the benefits it gives to its users appear to be even more valuable as days pass and technology develops. Finland was the first country, known to have practiced sauna for rejuvenating spirit and body. Finnish women in the past would go to a sauna to relax their minds, some of them used it to ease muscle and joint pains, others used it for soul cleansing, and still others used sauna even on child bearing. There are just so many wonderful things that can happen to a body when applied by a certain degree of heat. 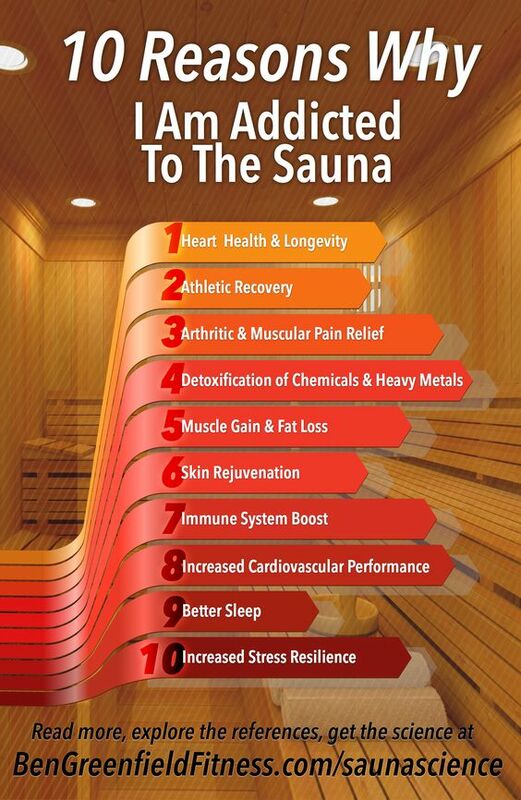 These are not just testimonies from people who use sauna but it is backed by science as well. Generally, there are several health benefits of sauna that you can benefit from. However, we will only be discussing the top 5. If you are a woman of today, you would definitely understand the kind of stress the world gives. The race in a quicker, faster environment is exhausting. It will surely change the world around you, when you, once in a while, just take a sit in a hot temperature room, alone or with friends, no unnecessary noises, no pressures, just a peaceful, quiet ambiance. Who would not want to be free from stress in such atmosphere? That is just one big thing you get in sauna. It rests your mind. It rests your body. It refreshes your mind, body and soul. The nature of sauna is to heat up your body and to flush out toxins. The heat that turns into sweats are means of throwing out the unwanted wastes in the body. The more sweats you produce, the better and this can be done with sauna. 3. Sauna soothes muscles and joints. It is notable that when heat is applied to the body through a sauna, it increases circulation or blood flow and it makes connective tissues become suppler. It reduces joints and muscles stiffness. It paves way to healing, thus, decreases inflammation and pain. The heat from a sauna causes the blood vessel to dilate. It impacts the whole function of the heart. Since the good circulation of the blood is supported through the heat, the whole circulatory and regulatory systems do their job well. Women totally love a refreshed skin. Sauna helps the body to sweat deep down the layers of skin which help removes dead skin. Deep cleansing refreshes the pores and makes the skin softer and healthier. It is definitely a way of beautifying without the harmful chemicals. Generally, there are two types of home sauna in the market today. The traditional sauna, and the infrared sauna. Both of them have their own distinct characteristics. Which one to use? You may ask. Well, it just depends on your preferences so let’s look at their differences so that you will have an idea. This is the type of sauna on which rooms are heated first through the use of stones, and then you would just go inside to perspire. Temperatures can go high up to 185 F.
The type of sauna, which the infrared energy is the one being used, for heating the body, not the heated room. When it comes to health benefits, many prefer the infrared sauna because it offers a more focused heat. The main point in this is that, by using the infrared sauna you can sweat out up to 20% toxins which is far from the 3% to 4% when using the traditional sauna. By penetrating deeper up to 7 centimeters from the skin down, you can expect rapid health benefits of infrared sauna from the skin’s rejuvenation up to the maximized function of the different body systems. Though sauna is beneficial and safe even to pregnant women as stated in this study, anyone considering it should check with a medical professional because some people have genetic or health conditions that can lead to over-heating or problems when using sauna. You should not use sauna more than the recommend time. Aside from that, sauna should not be used after exercise or alcohol. Sauna is greatly beneficial to women’s health in both body and soul. You can definitely include this in your health program. Melissa is an author and a blogger at Seek Home Comfort. Her writing and research interests include various home DIY topics such as home improvements/interior and health/fitness. She is also doing her PhD thesis on the topic of smart homes. 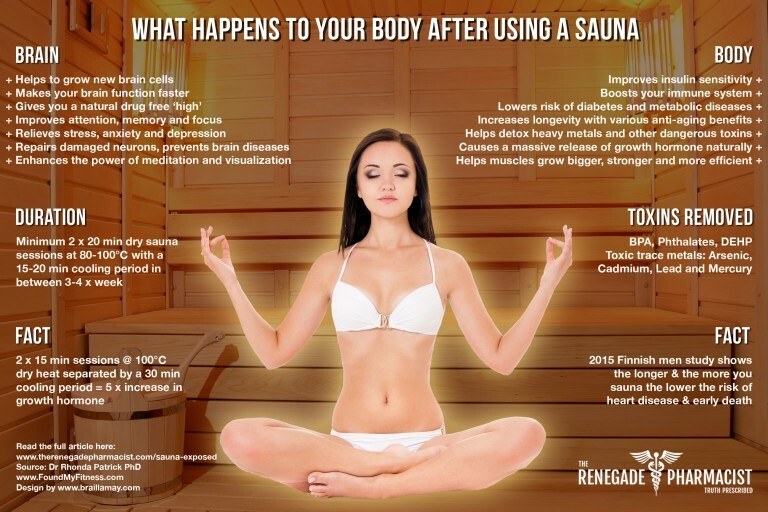 8 “BENEFITS OF SAUNA” For Health, Skin and weight loss ! !